Turkey is a deli-meat favorite. And when you take turkey and combine it with a flavorful rub of sun dried tomatoes and a blend of spices, you get turkey extraordinaire. The uber turkey. The turkmeister. 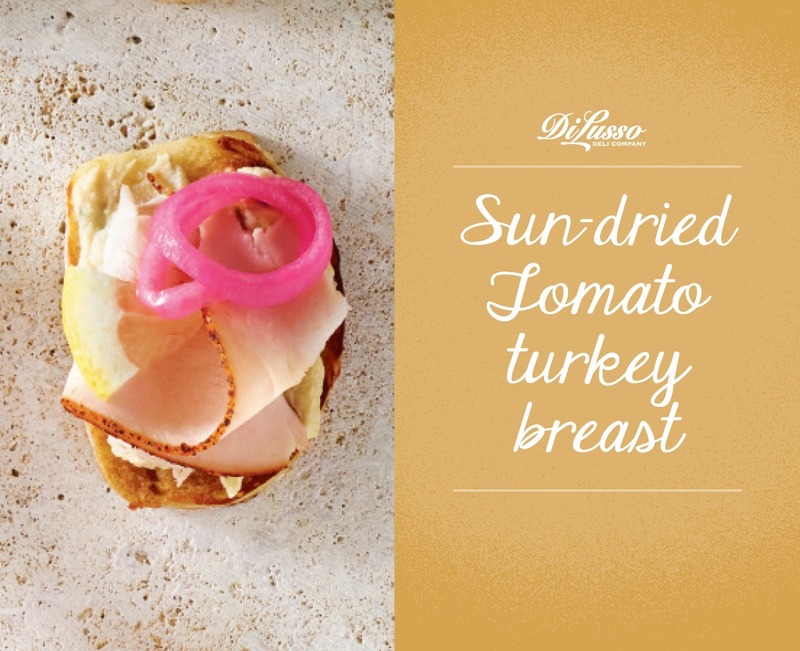 Indeed, DI LUSSO® Sun Dried Tomato Turkey Breast is a turkey-lover’s dream. As with all of our products, DI LUSSO® Sun Dried Tomato Turkey is made from only the very finest turkey breast meat, tender and juicy. Sun Dried Tomato Turkey’s hint of Mediterranean flavor makes it extra delicious in so many different recipes. We’ll share some with you now, and hope that you’ll share them with someone you know. 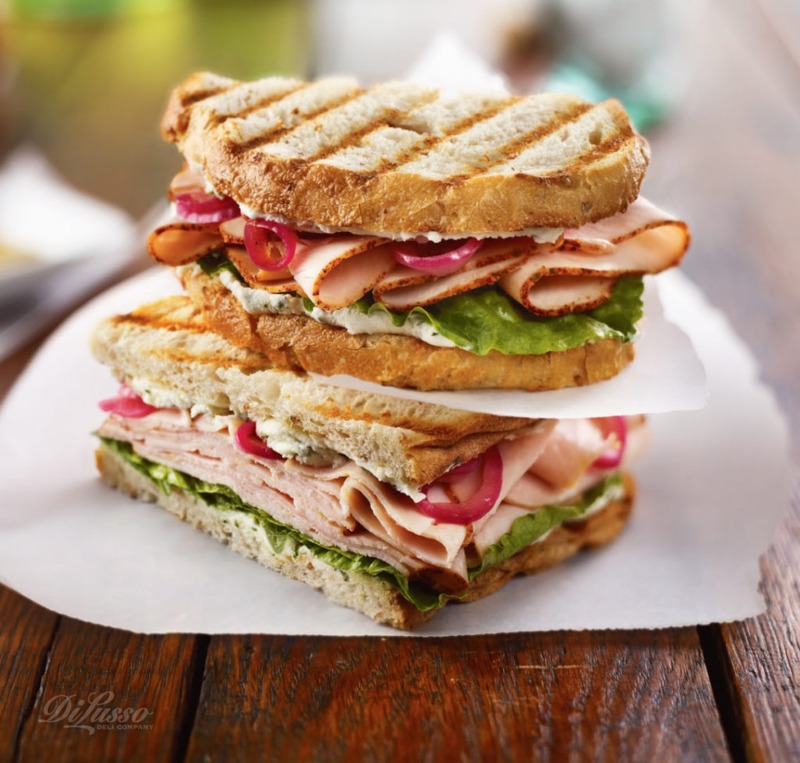 For an amazing and impressive sandwich, we recommend the Tower Turkey Panini, with rich mascarpone cheese and red onion, grilled to perfection. 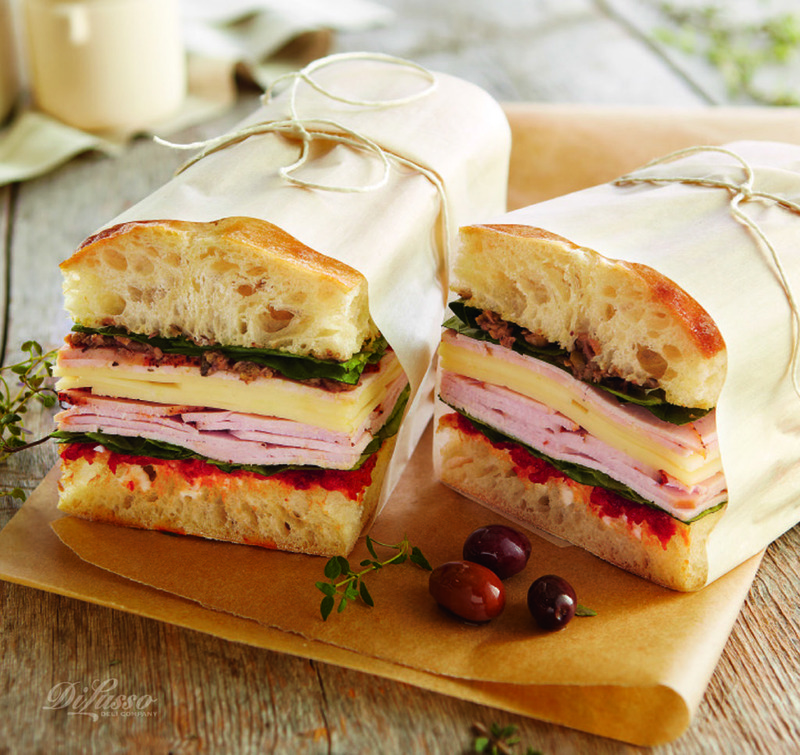 The red onion is the perfect foil to the smooth, rich creaminess of the mascarpone, and the Sun Dried Tomato Turkey pulls all the flavors together wonderfully. The Provençal is a flavor nod to the south of France, with sweet pepper spread, fragrant fresh basil, and olive tapenade. The contrast between sweet peppers and salty olives will transport you to the south of France—you can almost smell the fields of thyme and lavender that flourish there. 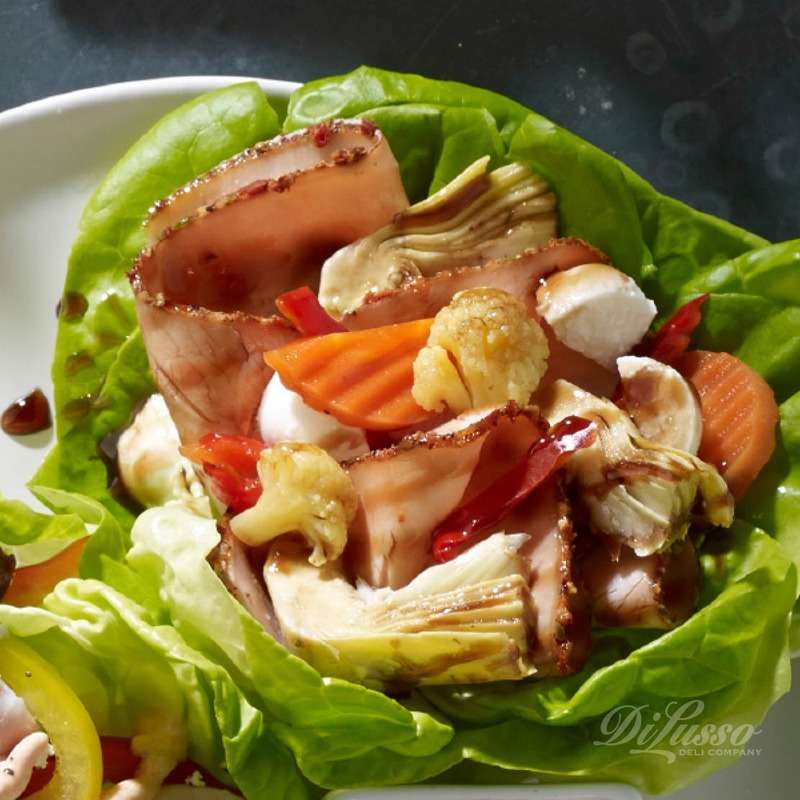 For a wonderful flavorful lunch without using bread, try the Barchettas Italiana (Little Italian Boats): DI LUSSO® Sun Dried Tomato Turkey, piquant giardiniera vegetables, mozzarella, and artichokes all laced with a zesty vinaigrette and layered on bibb lettuce.